Reading about 'How tos' won't help you build a talent bank, but it is a start, says Saumya Bhattacharya. 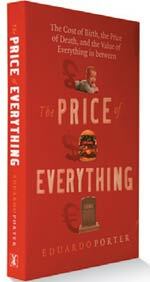 The authors come straight to the point with the opening line: "If businesses managed their money as carelessly as they manage their people, most would be bankrupt." What follows is a narrative that takes you through the basics of smart leadership. If there is one model of talent management that is widely emulated or at least idolised, it is the General Electric or GE model. Management guru Ram Charan and Bill Conaty, a former Senior Vice President of GE, begin the lessons with GE's model of nurturing leaders. When Larry Johnston, Chief Executive of GE's $6-billion appliance business in Louisville, Kentucky, decided to leave suddenly in 2000 - he had an offer from the Albertsons grocery store chain - it was an unexpected departure. Did GE falter? No. Within half a day, GE named Johnston's successor and three others down the line. This was not a one-off incident. When Vice Chairman Dave Calhoun announced his departure to work for a private equity consortium, GE had a ready replacement. While the book begins by talking about GE and the first part is devoted to its legendary leadership and talent management, the authors have other arresting stories. Three years before Nitin Paranjpe was named CEO of Hindustan Unilever Ltd or HUL, he had been taken off the leadership list at the company. Having been brought to India after a global stint and put in charge of the laundry business, Paranjpe failed to meet the sales target in his first year. But he slogged away and got the growth back in two years - and re-entered the leadership list. Conaty and Charan write: "Although he still had the how of leadership behaviour and potential, he did not have the what of leadership performance." The leadership models of HUL and Procter & Gamble or P&G have been chronicled, acknowledged and observed, but this book's immensely valuable advice is about leadership beyond general management. The book has good advice for any company that has domain experts and wishes to create a new breed of general managers. Agilent Technologies and Novartis have domain experts working in silos, but they got their leadership priorities right. CFO Adrian Dillon, who was a change agent at Agilent for eight and a half years before joining Skype, talks of his journey as a talent master. Dillon narrates how his mentor at Eaton Corp., his former employer, gave him a precious lesson in management. After a meeting that Dillon thought went well, his boss and mentor pulled him aside and told him: "That was a great meeting, but your problem is that you still think your job is to be the smartest guy in the room. It's not." Dillon was told that his job was to "make everybody in the room think that they're the smartest guy in the room". Beyond anecdotes and gripping examples of leadership, Conaty and Charan have devised a tool kit to handhold companies and individuals. 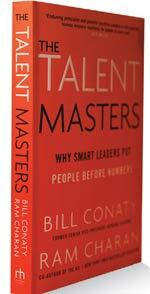 Though leadership cannot be built by reading about the "How tos" of mastering talent, it can be a start.